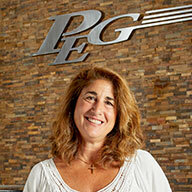 Gina has been working in the construction industry for over 20 years. She had started working in the office at a general contracting firm and through the years worked her way up to Project Management. Training includes: Numerous Safety courses, Supervisory Training, Sales & Negotiating, 40-hr turbine pump school training, 40-hr HAZMAT certified as well as annual 8-hr refresher courses, and CPR certified. The past eight years in the field has given her a better understanding as to what is required in getting the job done right the first time. Her experience in project management as well as all aspects of the office makes her a key player in our everyday activities.